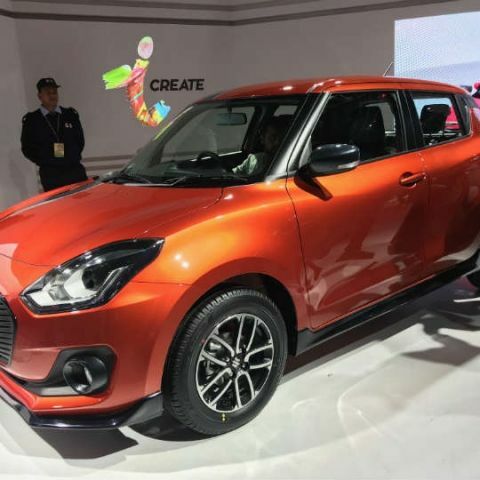 The new Maruti Suzuki Swift will be available in both diesel and petrol models and deliveries will commence later this month. 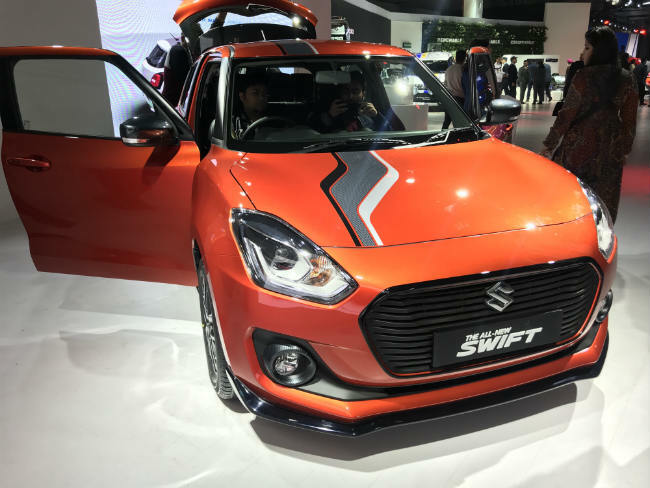 Maruti Suzuki has launched the new generation Swift at Auto Expo 2018. The base variant of the car starts at Rs 4.99 lakh (ex-showroom price for Delhi) and goes up to Rs 7.29 lakh and Rs 8.29 lakh for the fully loaded petrol and diesel variants respectively. The company has also launched the new Swift with automatic transmission options for diesel and petrol variants. Deliveries for the car will start later this month and there is already a waiting period of around eight months for it. Compared to its predecessor, the Maruti Suzuki Swift has a radical change in terms of design. It features new headlamps with projector lens and LED DRLs. The grille on the front adds to the looks and it sports LED tail lights and diamond cut alloy wheels as well. The car is also equipped with the SmartPlay infotainment system, which supports both Android Auto and Apple CarPlay, along with Auto climate control reserved for the top variants. 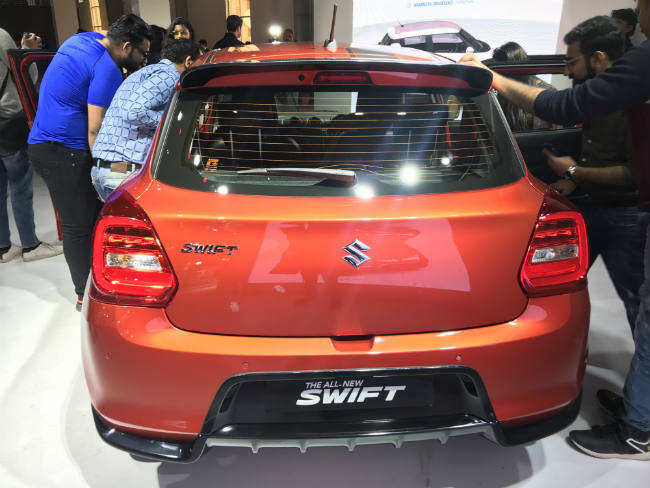 The Swift comes with a 1.2-litre K-Series petrol engine and the company says it produces 82 bhp and 115 Nm of peak torque while travelling approximately 22 Km/litre. For the diesel variant, it sports a 1.3-litre DDiS engine, which is capable of delivering 74 bhp and 190 Nm of peak torque while covering about 28.4 Km/l. The car comes with a 5-speed MT gearbox and an automated manual transmission (AMT) as well. The company had yesterday showcased its Future-S concept at the event, which is a take on the design of future compact cars in India. With an in-house design, the car resembles an urban SUV in terms of shape, and a hatchback in terms of the compact size. The concept features a higher ground clearance along with a flat hood. You can read more about it here.